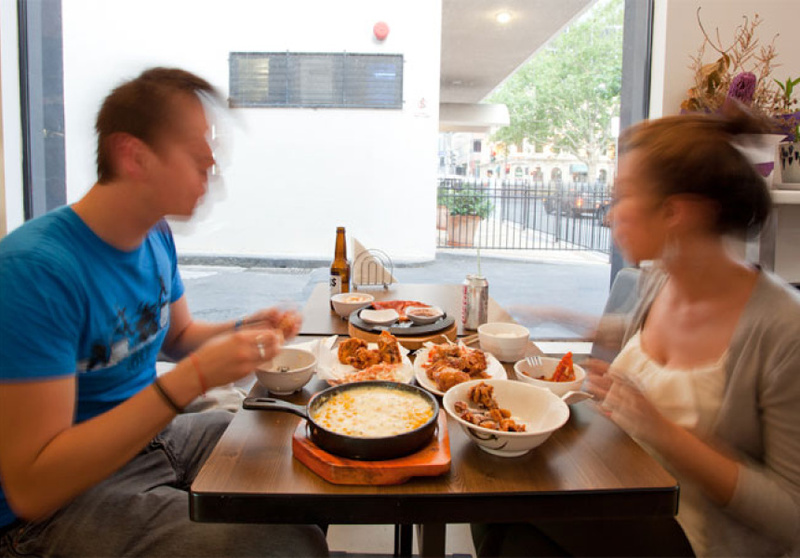 This one-room Korean kitchen at the top of Little Lonsdale Street is keeping things really simple. 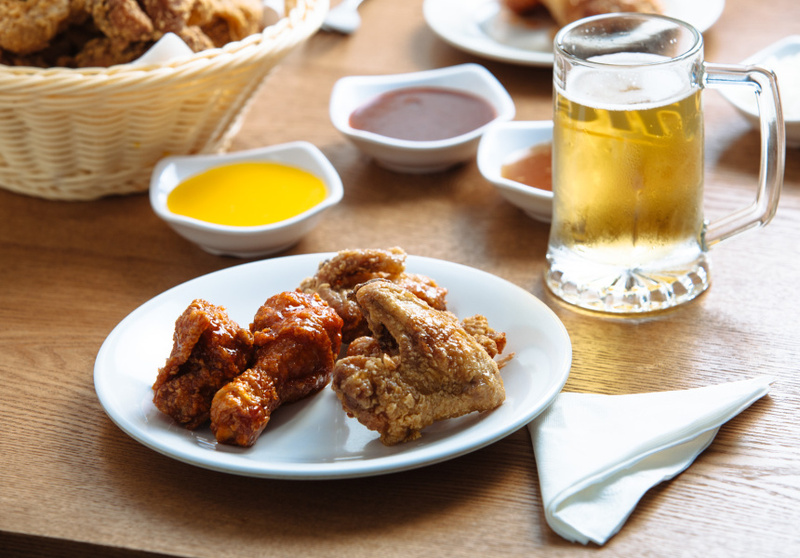 All in the name, Gami Chicken and Beer is exactly that: a pit stop for chicken and beer. The space is pretty simple too. White walls with big windows keep the place light and airy, with a bric-a-brac oddity here and there and a small selection of intimate tables and booths. The focus might not be on design, but it is on the view: the chicken that’s being plated up. 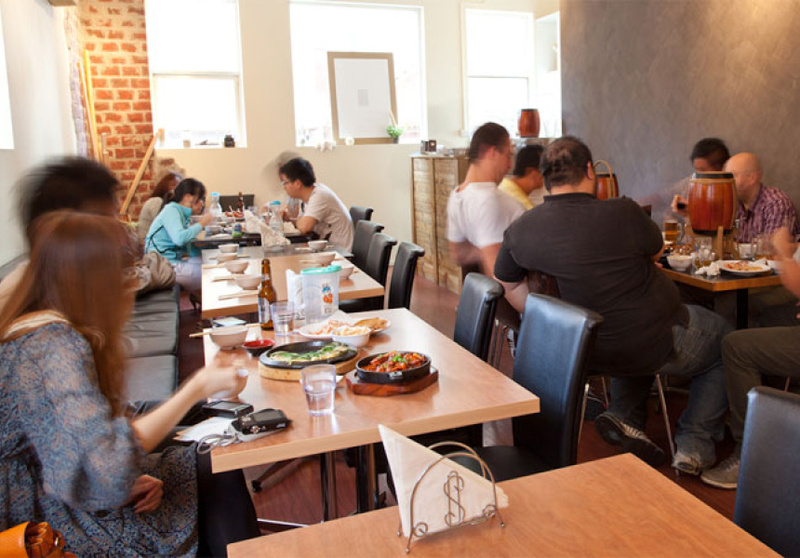 Canto pop wails in the background and cheerful staff replenish bowls of crackers endlessly, while you sip a cold house beer and contemplate crunchy chicken by three, seven or ten pieces (in original, sweet chilli or soy-garlic). A $27 plate delivers a mountain of crispy, golden-battered chicken that would easily serve four. It’s a compact menu and there is more than just the chicken on offer, but to skip the crackling, salty, yeasty combination of bird and beer might be to miss the point – especially when it comes with a Korean-style coleslaw swimming in creamy dressing and dishes of sweet and vinegary pickled radish. This is food to eat with beer, and might sort out a hankering after you’ve sunk a few, but it’s certainly above and beyond what you usually get in a bucket.